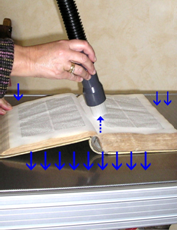 At Archives, Libraries, Museums and other institutions, concerned with conservation and restoration, it is well known, that dust cleaning is the first step in the series of treatments. Necessary to a safe assimilation of the incoming objects, records, books, textile products, etc. 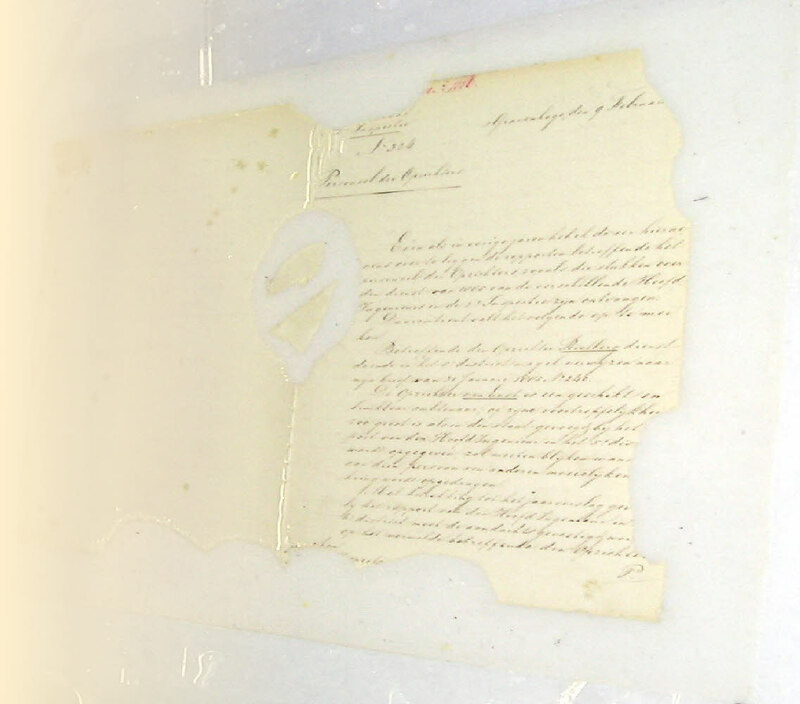 who can be stored in the depots, right away after cleaning, permitted by their good condition or they who demands further treatments to reach an acceptable condition, suitable for conservation or exhibition. 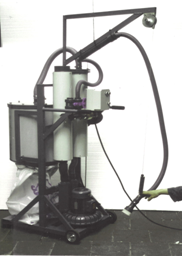 The elaboration of a good mechanical dry dust cleaning can make further treatments superfluous, as for example disinfection, decontamination or wet-cleaning and/or disinfection. 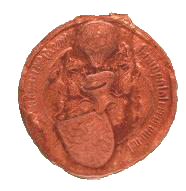 Conservation in dusty circumstances, changing and no suitable locations, as garrets, damp cellars and tropical conditions could have effected in superficial pollution, as dust, sand, spores, bacteria, insects, mould, etc. If not penetrated into the original material, often the pollution is to be removed by good mechanical dry dust cleaning, even with fragile and amorphous pieces, of course with the necessary skill, caution and the proper equipment. The standard vacuum-cleaners are not suitable and even dangerous to the people as well to the objects, because the vacuum-cleaners are not constructed for this special task, endurance use, suction velocity, filter surface, filter technology, filter exchange and specially the micro-filtering, instead of filtering the very fine particles, hazardous or not, these will be blown out and spread into the room and so contaminate each and everybody. 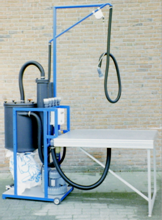 In 1985 this was the main reason for the JEZET ENGINEERS, beside the other restoration equipment, to start the development of a special THREE-STAGE DUST VACUUMCLEANER WITH MICRO-FILTERING. A micro-cleaning responding to all qualifications for safe environmental circumstances, ergonomic working, easy handling for anybody on any place such as the depots, obliged very few and completely safe exchanging of the filters and still adaptable to specific demands of each customer. 3) extra suction point adaptable for the small hose of the own mini brushes or fine cleaning. SUCTION DEVICE with a brushless 3-phase electric motor, an adjustable suction force capable from 0 to - 40 kPa or 40 % or – 280 mBar. SINGLE PHASE NETCONNECTION of 230 V- 50 Hz. with 3 Special motor safety devices and low noise level. COMPACT, Mobile and to be used even in the depots Easy to operate. (Everything at hand height) Easy to clean. Custom built on client specification. SUCTION DEVICE with a brushless 3-phase electric motor, capable of a suction force of 40 %. but a SINGLE PHASE NETCONNECTION of 230 V- 50 Hz. ONE SWING-ARM made of aluminium profiles Circling 150° angle, adjustable in height with balancer to equalize the weight and height; a flexible antistatic polyethylene suction hose with easy exchangeable tube-connector to fit six different tubular cleaning brushes. 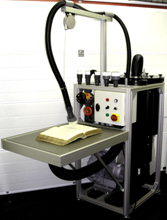 SUCTION TABLE of aluminium profiles with a fixed-in aluminium base-plate and a perforated working surface made of hard wearing, easy to clean non corrosive, stainless steel. The tabletop is connected on the frame by hinges and to be tilted down for more mobility with a useful working surface of W x L = 550 x 750 mm. A BIGGER SUCTION TABLE of aluminium profiles with a fixed-in aluminium base-plate and a perforated working surface made of hard wearing, easy to clean non corrosive, stainless steel. Connected to the third suction point by means of a flexible hose of polyethylene. The tabletop is connected on to the frame with a useful working surface of W x L = 1000 x 750 mm. DOUBLE SUCTION DEVICE with a brushless 3-phase electric motor, capable of a suction force of 40 %. but a SINGLE PHASE NETCONNECTION of 230 V- 50 Hz. TWO SWING-ARMS made of aluminium profiles Circling 150° angle, adjustable in height with balancer to equalize the weight and height; a flexible antistatic polyethylene suction hose with easy exchangeable tube-connector to fit six different tubular cleaning brushes. 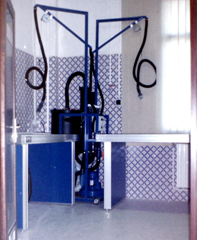 2) SUCTION TABLE of aluminium profiles with a fixed-in aluminium base-plate and a perforated working surface made of hard wearing, easy to clean non corrosive, stainless steel. Connected to the fourth suction point by means of a flexible hose of polyethylene. Mounted on 4 legs of aluminium profile with levelling feet. The size of the useful working surface is W x L = 1200 x 750 mm. 3) WORK TABLE of aluminium profile JZ800 with a working surface made of hard wearing gray Trespa, dimensions W x L = 1200 x 750 mm. Mounted on 4 legs of aluminium profile with levelling feet. 1) DOUBLE SUCTION/WORK TABLE UNIT is composed out of aluminum profiles forming a very light and rigid frame movable on 4 casters with brakes, on the frame is mounted 2 SWING-ARMS made of aluminium profile, light and rigid and flexible polyethylene special suction tube. Circling 150° angle, easy exchangeable tube-connector to fit six different tubular cleaning brushes. The dimensions of the total surface of suction surface and two work surfaces are W x L = 1800 x 580 mm. 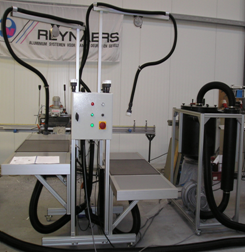 The electric and pneumatic control units, brushes, the 5-way hose connection and valves are also mounted on table unit. DOUBLE SUCTION DEVICE with a brushless 3-phase electric motor, capable of a suction force of 40 %. TRI PHASE NETCONNECTION of 380 V- 50 Hz. 1) DOUBLE SUCTION/WORK TABLE UNIT is composed out of aluminum profiles forming a very light and rigid frame movable on 4 casters with brakes, on the frame is mounted 2 SWING-ARMS made of aluminium profile, light and rigid and flexible polyethylene special suction tube. Circling 150° angle, easy exchangeable tube-connector to fit six different tubular cleaning brushes. 2 SUCTION/WORK TABLES electric stepless adjustable in height 500 mm made off aluminium profiles with a fixed-in aluminium base-plate and a perforated working surface made of hard wearing, easy to clean non corrosive, stainless steel. Connected to the multi suction point by means of flexible hoses of polyethylene. On both sides of each SUCTION SURFACE W x L = 700 x 580 mm. are 2 WORK SURFACES made of hard wearing white Trespa. The dimensions of the total surface of suction surface and two work surfaces are W x L = 1800 x 580 mm. The electric and pneumatic control units, brushes, the 5-way hose connection and valves are also mounted on table unit. 1 SWING-ARM made of aluminium profile, light and rigid and flexible polyethylene special suction tube. Circling 150° angle, easy exchangeable tube-connector to fit six different tubular cleaning brushes. 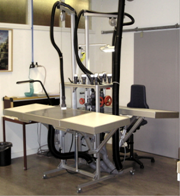 1 SUCTION TABLE/WALL is executed in a table and wall section both made off aluminium profiles with a fixed-in aluminium base-plate and a perforated working surface made of hard wearing, easy to clean non corrosive, stainless steel. Connected to the suction point by means of LARGE DIAMETER flexible HOSE of polyethylene. TABLE SUCTION SURFACE is W x L = 1200 x 700 mm. The WALL SUCTON SURFACE is W x L = 1200 x 700 mm. 1) SUCTION TABLE pneumatic stepless adjustable in angle to 45º made of aluminium profiles with a fixed-in aluminium base-plate and a perforated working surface made of hard wearing, easy to clean non corrosive, stainless steel. Connected to the fourth suction point by means of a flexible hose of antistatic polyethylene. Mounted on 2 supports of aluminium profile plus plating of Trespa with 4 levelling feet. The size of the useful working surface is W x L = 1800 x 1000 mm. 2) WORK TABLE of aluminium profile JZ800 with a working surface made of hard wearing white Trespa, dimensions W x L = 1800 x 1000 mm. Mounted on 2 supports of aluminium profile with levelling feet. SUCTION DEVICE with a brushless 3-phase electric motor, capable of a suction force of 40 %.